Did You Know You Can Make Your Own Chromecast For Free? A brand-new shiny Chromecast may only be $35, but what if you can’t easily get one in your area? 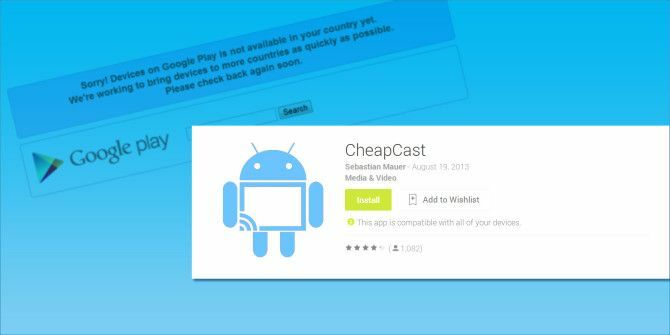 Lucky for you, a free app called CheapCast has hit the Play Store that can use your Android device to emulate a Chromecast dongle. With the app running in the background, any other Android device can send YouTube videos to the device running CheapCast. It’s still in an early beta phase, so streaming for apps like Netflix still isn’t supported, and you can’t stream entire Chrome tabs from your PC, but the potential for this app is incredible. Plus, if you have an Android device with a micro-HDMI port or a micro-USB to HDMI MHL adapter, you could hook up your Android device to any HDTV for the full Chromecast experience. If you’ve got an old device laying around, you could hook it up to your TV and put it to use. Or, if you have both an Android tablet and phone, watch videos on your tablet while searching for more on your phone. Want to see everything CheapCast is capable of? Read on. Setting up Cheapcast is simple enough. Just head on over to the Google Play Store and download the free app. The app, created by developer Sebastian Mauer, currently has a 4.4-star average rating, and it supports all the way back to Android 2.2 and up — Gingerbread-users rejoice! Once downloaded, the app gives you a simple list of options: you can change the name of the device (which is how it appears to other devices), choose to start the app on boot, allow registration of custom apps (for developers), send anonymous data to Google Analytics, donate, and learn more about the app. 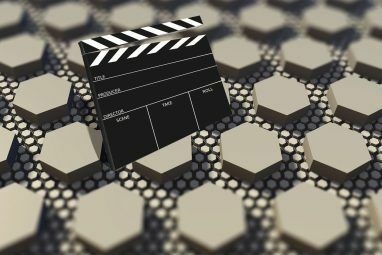 To get started, just press the triangle in the upper-right corner and CheapCast will begin to run. It will display a notification and, if you’re running Android 4.1 or above, you’ll be able to restart or stop the service right from your notification panel. CheapCast doesn’t currently support mirroring Chrome tabs like the official Chromecast does, and the developer states that because of DRM issues, apps like Netflix and Play Movies may never function using CheapCast. This app, while still in beta, should support YouTube and Play Music at least. I was unable to get Play Music to stream from my Galaxy S3 to my Galaxy Tab 2 10.1 (or vice versa), leaving me with only YouTube to test. At least on that front, I wasn’t disappointed. If you open the YouTube app on the Android device that you would like to stream from (the one not running CheapCast), make sure that you are connected to the same WiFi network as the CheapCast-running device and then find a video you’d like to watch. You should see a rectangle with a WiFi logo in the upper-right corner; this is the button used for streaming the video on a different device. Tap it, and it should give you a list of devices that you can send the video to. Simply choose whatever you named your device in the CheapCast app. While that video plays, you can minimize the video by pressing the arrow in the upper-left corner. This will shrink the video down to a small space in the lower-right corner, allowing you to search for more videos to find. This is thanks to an update to the YouTube app for Android, and a feature that I find incredibly useful for those of us that like to keep a steady stream of YouTube videos running. 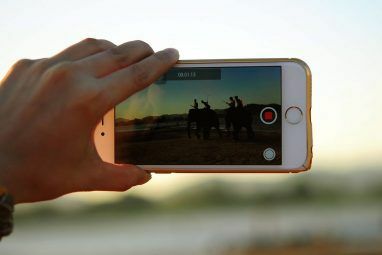 While browsing videos, you can choose to play them immediately or add them to your “TV Queue.” I found this to be a particularly useful feature when streaming YouTube videos from my phone to my tablet, since I could just prop the tablet up and search for more videos from a distance with my phone. There’s even a notification that allows you to pause the video or skip to the next one no matter what app you’re in. Perfect for the laziest of YouTube-viewers. If your device has a micro-HDMI port, you could use a micro-HDMI to HDMI cable to connect a CheapCast-running device to your HDTV. This would essentially allow you to stream YouTube videos to your TV from any other Android device in the house. But if your phone only has a micro-USB port, don’t despair; you can use a micro-USB to HDMI MHL adapter (like this $10 Menotek adapter from Amazon) and a regular HDMI to HDMI cable to connect your device to any HDTV. Once your device is plugged in, just tune the TV to the correct input and voilà, your device’s screen will show on the TV. At this stage, CheapCast isn’t ready to be a Chromecast-killer, but it could be a suitable replacement depending on your needs. 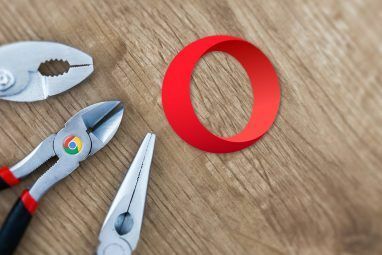 YouTube-lovers should flock to this app for its simplicity and ease of use, but anyone looking to stream Chrome tabs from their PC should either hold out for an update or just go try to find an official Chromecast dongle. If you’re looking for a little more than either CheapCast or Chromecast can offer, you may want to check out our review of the Roku 3 Roku 3 Review and Giveaway Roku 3 Review and Giveaway As more content becomes available online, the need for a traditional television subscription may not be enough anymore to justify the costs. If you’re already subscribed to services like Netflix or Hulu Plus, now may... Read More . For you YouTube junkies, you’ll want to check out these Chrome and Firefox Make YouTube Better & Get Rid of Annoyances With These Add-Ons [Firefox] Make YouTube Better & Get Rid of Annoyances With These Add-Ons [Firefox] Watching videos is one of the best pastimes you can find online, and what source for videos is better than YouTube? YouTube is the largest video website online, and when looking for a video, you’re... Read More add-ons to enhance your viewing experience, or you may even want to try YouTube TV Hate YouTube's New Layout? Try Out YouTube TV Instead Hate YouTube's New Layout? Try Out YouTube TV Instead Enjoy a streamlined version of YouTube that's usable from your couch and lets you follow the channels you love, easily. YouTube's TV version just might be the best way to use the web's best video... Read More instead. What’s your favorite method of streaming video to your TV or Android devices? Are you getting a Chromecast, or can you survive with CheapCast? Let us know in the comments. Explore more about: Chromecast, Google Chrome, YouTube. Guys check out Twonky Beam, which similar to cheapcast. I wonder if there something similar on a laptop/desktop. What Google blocked was playing local media files on Chromecast. Cheapcast still works fine. Hardly qualifies as free...when you have to provide your own device...and you won't find any Android device cheaper than the Chromecast. If your about to upgrade or have upgraded to a new device, then this app can breath new life into the old device rather than sticking it in a drawer never to be seen from again. I will keep an eye on this, as I will be upgrading my phone in the next month, and can use this app with the mico-HDMI instead of buying a Netgear, Roku, or Chromecast dongle. Will probably keep other apps as well, such as the TeamViewer remote app.